Posted with permission of the publisher of NRU Publishing Inc. Original article first appeared in Novae Res Urbis – GTHA Edition, Vol. 22, No. 2, Friday, January 9, 2019. 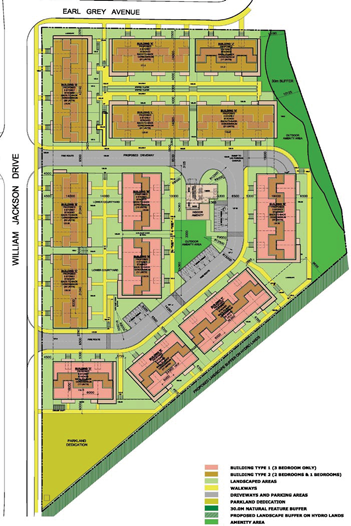 An innovative mortgage tool could add affordable ownership housing to a Pickering community undifferentiated from the neighbouring houses. 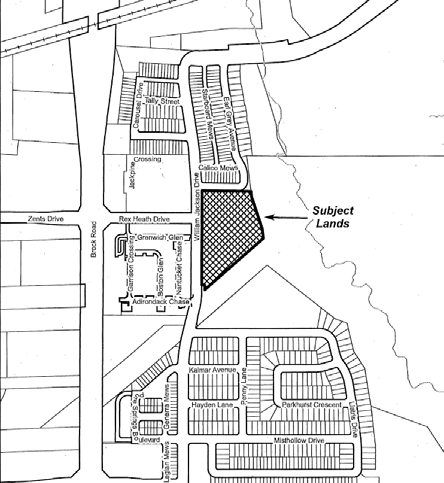 Trillium Housing Oak Non-Profit Corporation proposes to build 13 townhouses with a total of 264 stacked units at Brock Road and Rex Heath Drive in the Duffin Heights neighbourhood of Pickering. The development is also to include a 900 m2 park block, 405 underground parking spaces and an additional 16 at grade. 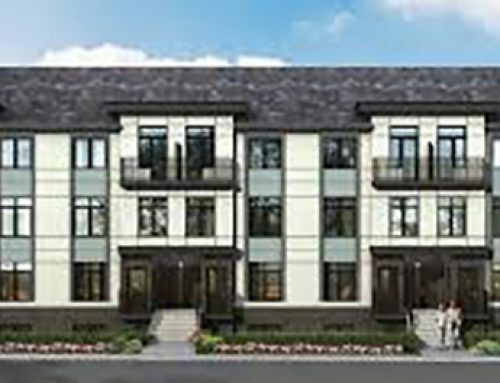 Some of the homes are intended to be affordable ownership units, which will be achieved through Trillium’s unique form of mortgage, which uses a shared appreciation model. This means that Trillium agrees to share part or all of the buyer’s payment as a share of the appreciation of the property. 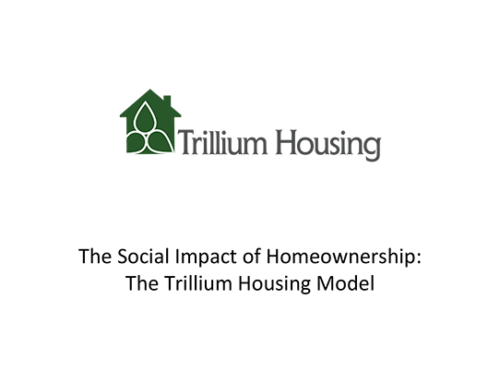 The Trillium mortgage is a second mortgage which charges no interest and requires no monthly repayment of capital. It is offered to families whose household incomes are below a specified threshold, usually the median in the municipality where the development is located. For example, in 2015, Pickering had a median household income of $99,580. The specific numbers are based on the household’s finances. Purchasers are still required to provide a down payment and obtain a normal mortgage to cover the full cost of the home. 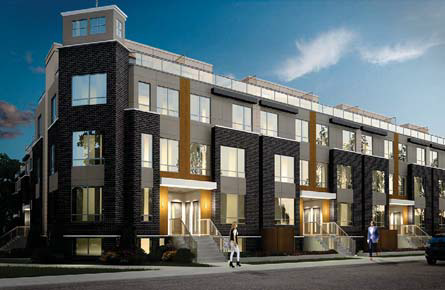 Eligible buyers can sign up on the Trillium website and if approved for a Trillium mortgage get the first pick of the available properties. 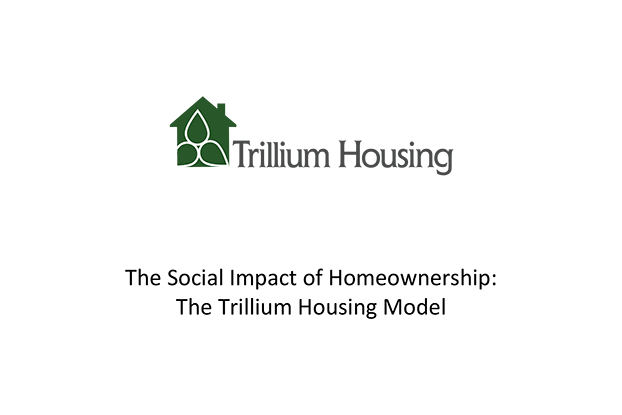 The number of Trillium mortgages offered will depend on the pool of funds Trillium is able to raise.